Just like your car, Microsoft Windows and your computer require regular maintenance in order to work properly. We recommend that the following maintenance be completed no less than once a year. Clean out dust which accumulates inside the computer and prevents proper airflow required to cool off the parts in your computer. If the computer overheats, it will often start crashing for no apparent reason and parts could get damaged. Disconnect the computer and use a can of compressed air to blow all the dust out. Be sure not to turn the can sideways so that it doesn't start squirting out liquid. Do not use a vacuum cleaner as it can create static electricity which is bad for the electronics. Check for errors and defragment the hard drive. Just like a poorly organized filing cabinet, it takes longer for your computer to find the files it needs without regular spring cleaning. Errors or defects on the hard disk can result in the loss of your valuable information, often at the worst possible moment. Check for viruses. There are new viruses coming out every day. They can get onto your computer though email, over the web, when you copy files from friends or colleagues. The fact is that most people who give you a file which is infected with a virus probably don't even know that their computer is infected. 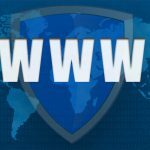 The best way to prevent viruses from spreading is to make sure your computer stops viruses in their tracks with a modern antivirus program which gets updated manually or automatically on a regular basis. Check how much disk space is free. Windows does not like running out of space on your hard drive. Even though you may not put a lot of files on your computer, Windows and other applications often create temporary files. If there isn't enough free disk space, Windows or your application will usually just crash, possibly resulting in the loss of your information. Install the latest Microsoft patches. Once in a while Microsoft releases free patches that people can install to fix some known problems. These fixes often add stability to your system and make it more secure. How often should you install these patches? Microsoft has them coming out every week or two. How much information can you loose if something happens and it could have been easily prevented? Turn on automatic updates. The advantage is that your computer will always have the latest fixes and protection. The down side is that, if you leave your computer unattended, it will occasionally shutdown and restart itself so always save your work before stepping away from the computer... especially overnight. Computer files disappear. Were they yours? 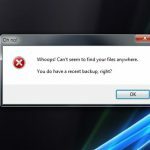 Hope you have a backup! The Secret to Getting WinZip for Free! Michael Milette enjoys sharing information and uses his skills as a leader, coach and developer to deliver sustainable solutions and keep people moving forward in their business life. Copyright © 2019 TNG Consulting Inc. All rights reserved.